The interest in and use of electromyography (EMG) have grown significantly in recent years. Researchers have found numerous clinical and research uses for EMG, including biofeedback, gait analysis, and clinical diagnosis for neuromuscular disorders. 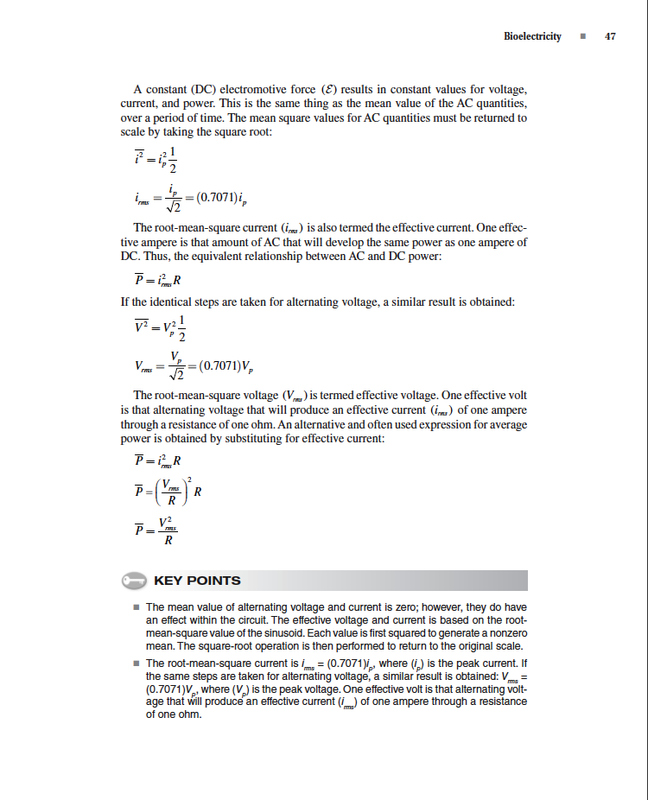 Yet, until now, few sources have been available to help novices understand the characteristics of the instrumentation, signal analysis techniques, and appropriate EMG applications. Essentials of Electromyographyprovides the perfect starting point for those who plan to use EMG because it aids in the comprehension of issues such as handling noise contamination to the area, slope, and variability of the EMG signal. The text is also a solid reference for practitioners who use EMG, including exercise scientists, physical therapists, occupational therapists, and motor development specialists. • explore relevant topics such as electrode configuration, advanced signal processing theory, and locations for extracting EMG information. The text provides a solid review of the relationship between human anatomy and EMG as well as how EMG is applied to clinical areas. 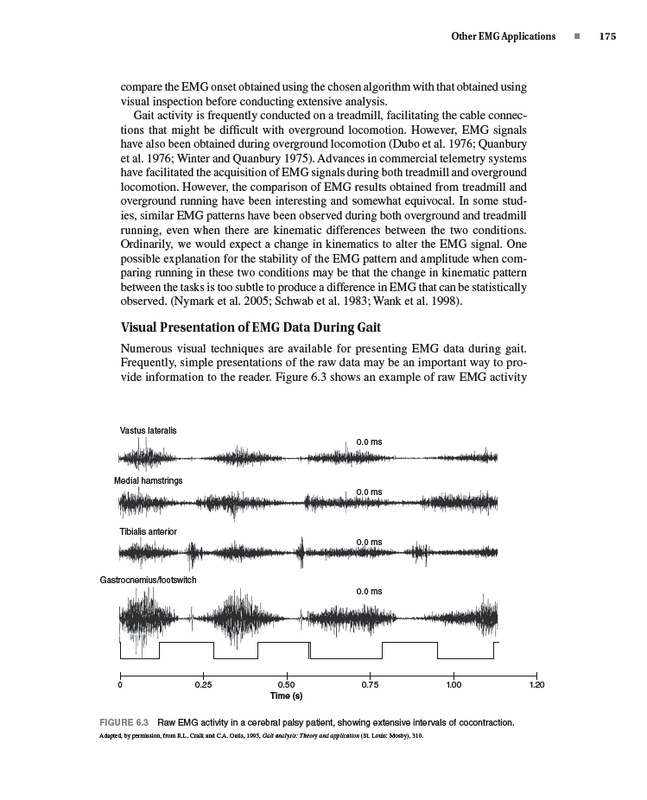 It showcases over 160 figures and many qualitative explanations to communicate the principles of EMG, the biophysical basis of EMG, and the appropriate applications of EMG. It also contains appendixes for readers with a deeper understanding of EMG and stronger backgrounds in math; those readers will have the opportunity to work through more detailed EMG calculations. The book is heavily referenced and illustrated with diagrams showing electrical circuits and the progression of electrical impulses. Essentials of Electromyography—which is also available as an e-book—will help readers learn how to apply EMG for biofeedback, back pain, sport activities, and other uses. The text pulls together information scattered in books and articles among the numerous disciplines that use EMG as a tool. With its clear presentation of the concepts and applications of EMG, Essentials of Electromyography will prove to be a valuable text for practitioners and students alike. Gary Kamen, PhD, is a professor in the department of kinesiology at the University of Massachusetts at Amherst. He has 30 years of experience in the field of kinesiology, including research in basic electromyography, neuromuscular physiology, motor control, exercise neuroscience, motor unit physiology, and numerous electromyographic applications. Through research studies, he has demonstrated the importance of motor unit firing rate for maximal force production in older adults, thus proving the importance of neural activation for muscular strength. 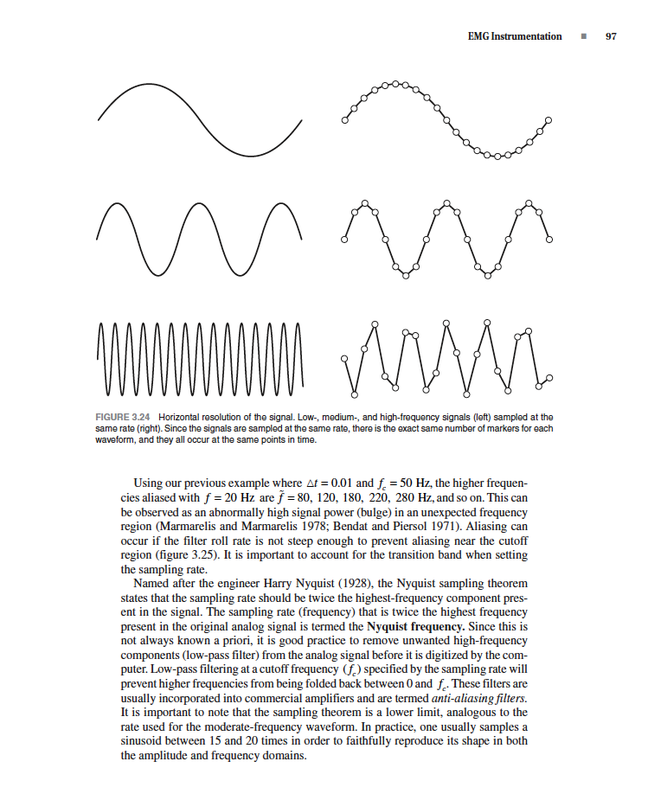 Kamen has published over 75 articles in the field of electromyography, motor unit recording techniques, motor control, and other concepts related to this book. He also published one of the first texts in exercise science. He is a fellow of both the AmericanCollege of Sports Medicine and the American Association for Kinesiology and Physical Education, as well as a member of several organizations, including the Society for Neuroscience, the International Society for Electrophysiology and Kinesiology, and the International Society of Biomechanics. David A. Gabriel, PhD, is a professor in the department of physical education and kinesiology at BrockUniversity in St. Catharines, Ontario. He has 20 years of experience conducting research related to kinesiology, rehabilitation, and clinical neurophysiology. This includes surface and indwelling electromyographic techniques as well as computer modeling and simulation of the EMG signal. From this research he has been able to solve difficult problems in EMG data collection, reduction, analysis, and interpretation. Gabriel published a series of papers on a novel signal processing method for documenting subtle changes in the surface EMG signal and how those changes can be related to motor unit firing patterns. He is also widely published in other areas, including reliability of the surface EMG signal for both kinesiological and clinical studies and modeling and simulation of the surface of the EMG signal. Gabriel is associate editor for the Journal of NeuroEngineering and Rehabilitation, an editorial board member for the Journal of Electromyography and Kinesiology, vice president and president-elect of the International Society for Electrophysiology and Kinesiology, a fellow of the AmericanCollege of Sports Medicine, and a member of the Institute of Electrical and Electronics Engineers. All ancillaries are FREE to course adopters and can be found at www.HumanKinetics.com/EssentialsofElectromyography. Image bank. Features most of the figures and tables from the text, sorted by chapter. The images can be used in developing a customized presentation based on specific course requirements. A blank PowerPoint template is also provided, along with easy-to-follow instructions for quickly creating a presentation.